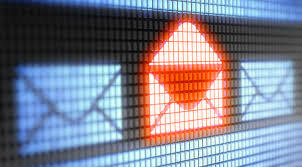 Why creating a professional e-mail address matters! Countless times I have come across e-mailed resume submission’s with unprofessional e-mail addresses that are left over from when we were foolish teenagers. There is no need to dispose of these e-mail addresses that we have grown so fond of, but it is beneficial to create a professional e-mail address for the purpose of the job hunt. With all of the sites out there that let you create an e-mail address quickly and seamlessly, now is the time to get that professional e-mail address created. The best bet is to go with your first name, last name@xyz.com. Use this new e-mail address solely for the purpose of applying to jobs so that you can avoid the endless spam and junk mail to find the relevant e-mails.